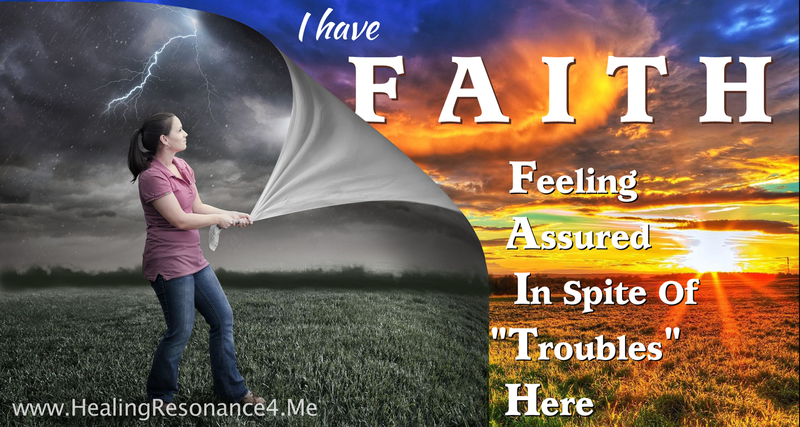 Healing Resonance Articles by Kristi Borst: I Have Faith! The "Cold War", WWIII, Y2K, Predictions of Nostradamus, End of the Mayan Calendar, our current political evolution ... there are always perspectives of doom and gloom which come into our communities, world and mass consciousness. Experience shows we survive and in many cases THRIVE. For me, it is "Feeling Assured InSpiteOf (so called) Troubles Here". Perhaps the most difficult aspect of Faith is falling into that point of surrender to that ultimate Truth that All is Well, and there is truly nothing TO fear. Realize you have the Power to see and create your "reality" here by what you focus on and the underlying vibration of your BEing ... will you choose fear or L O V E? Breathe with the breath of all life, allow yourself to surrender, feel your body soften, repeat.